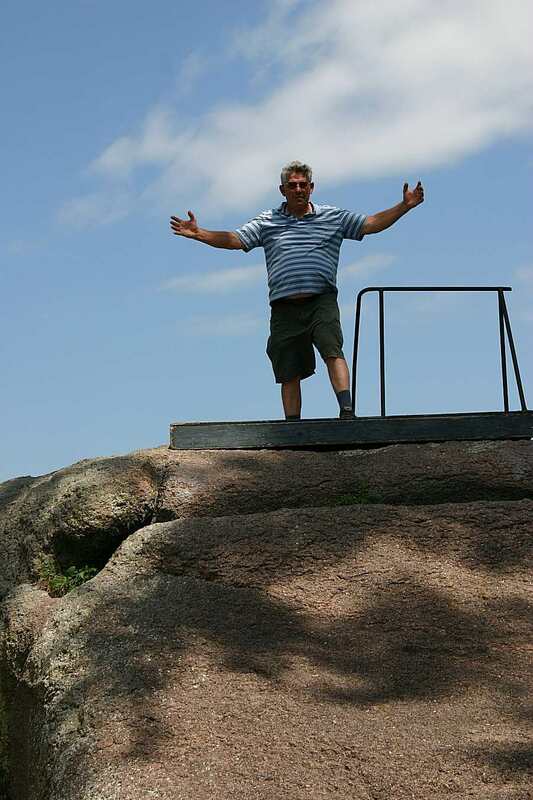 That is me on top of the rock in the daytime not at night! 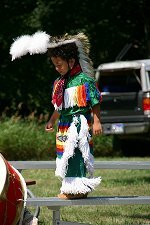 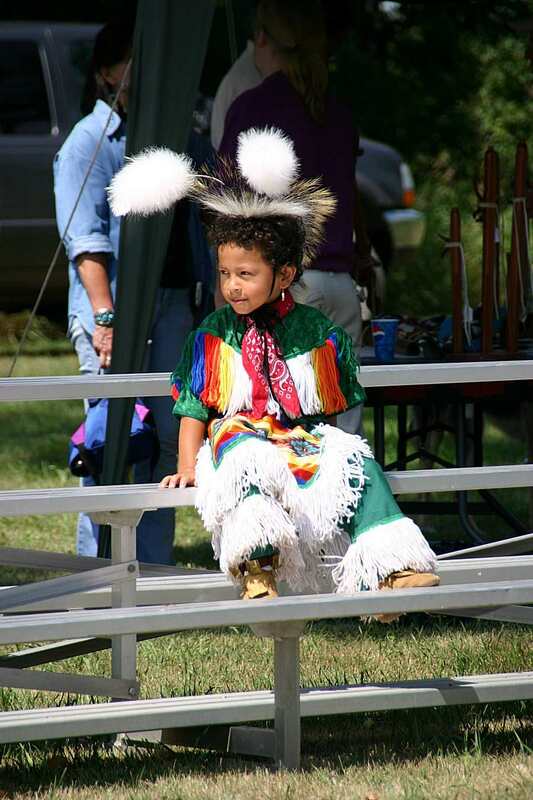 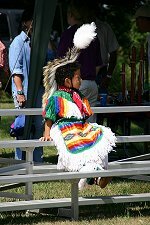 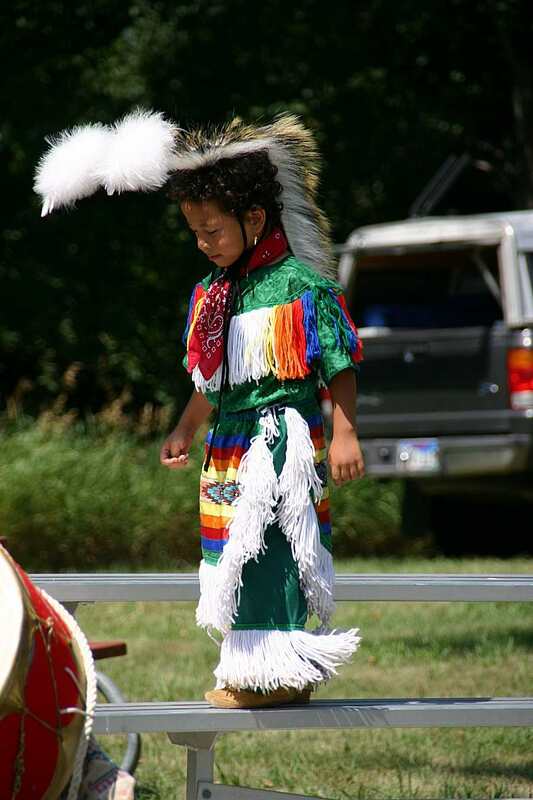 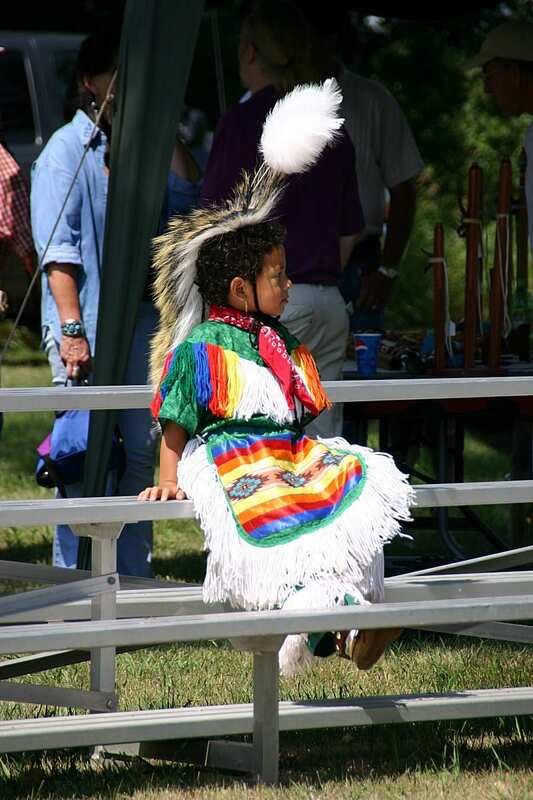 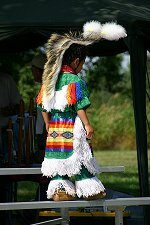 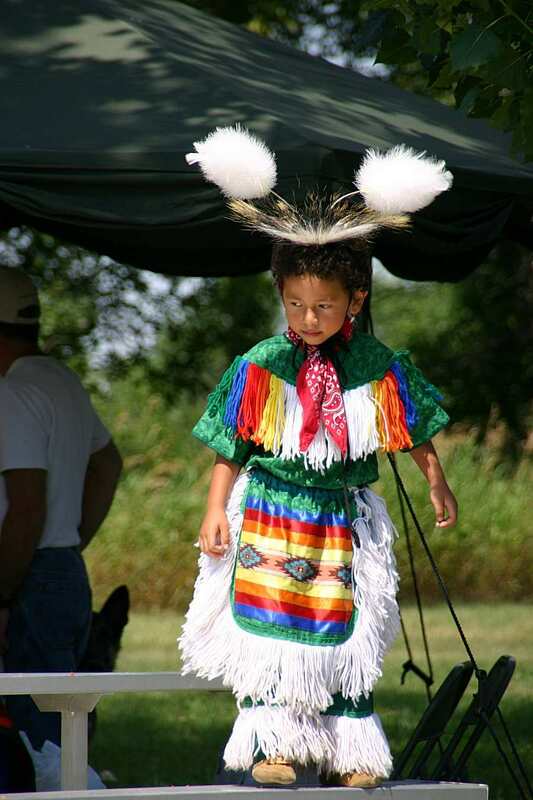 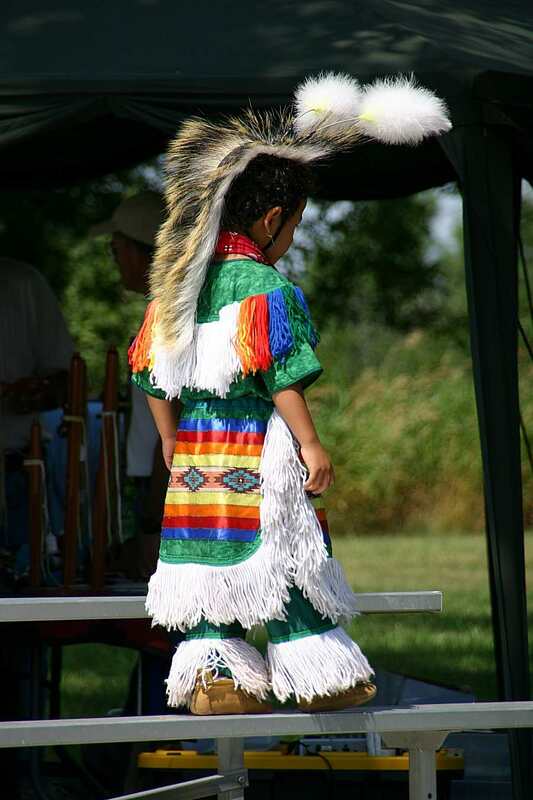 This is a young American Indian dancer getting ready for the PowWow. 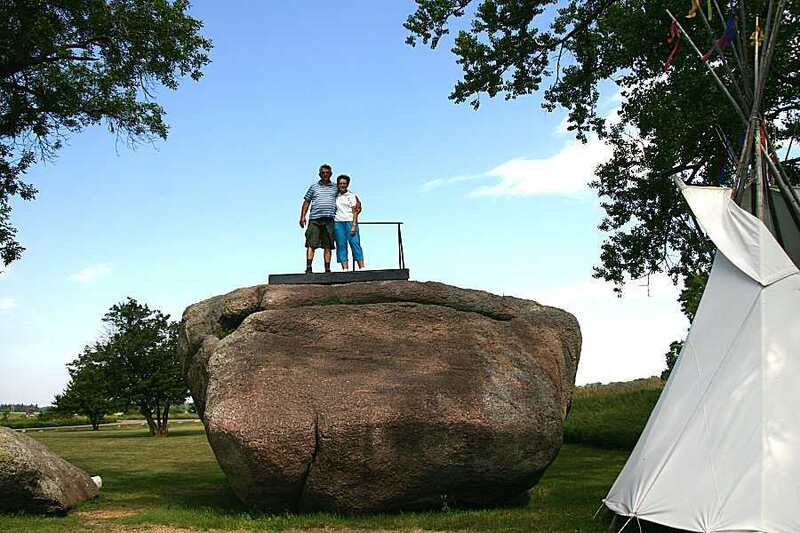 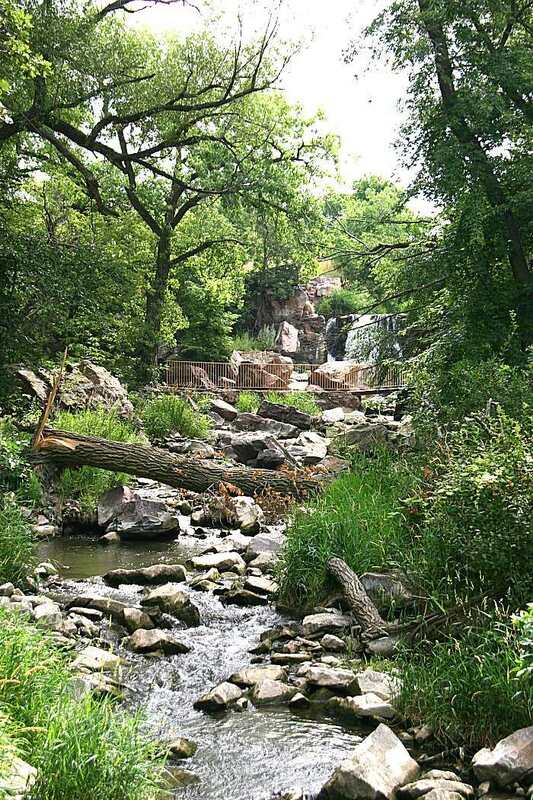 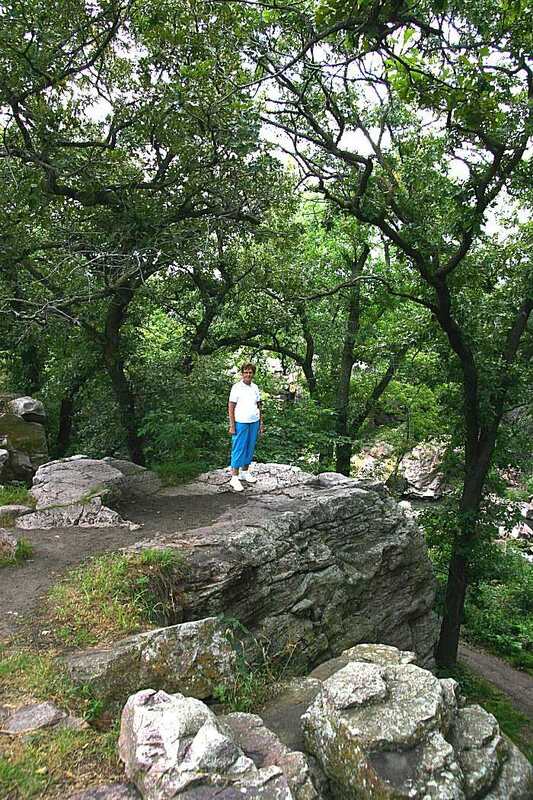 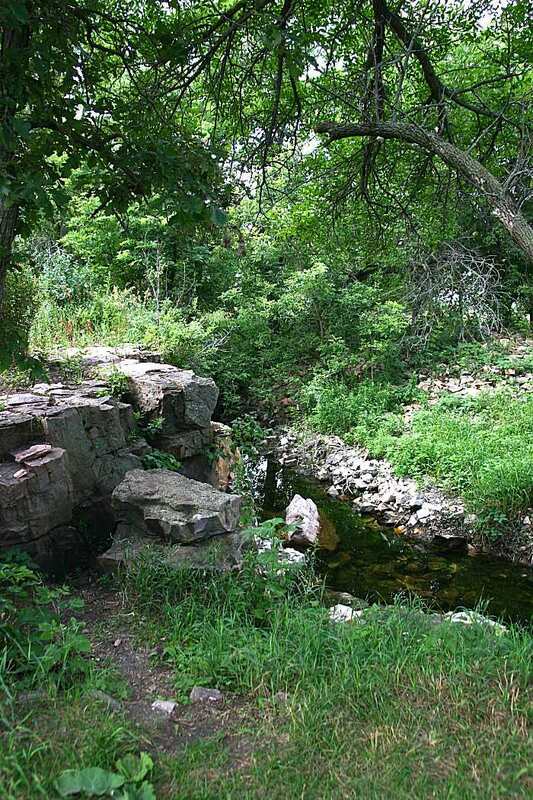 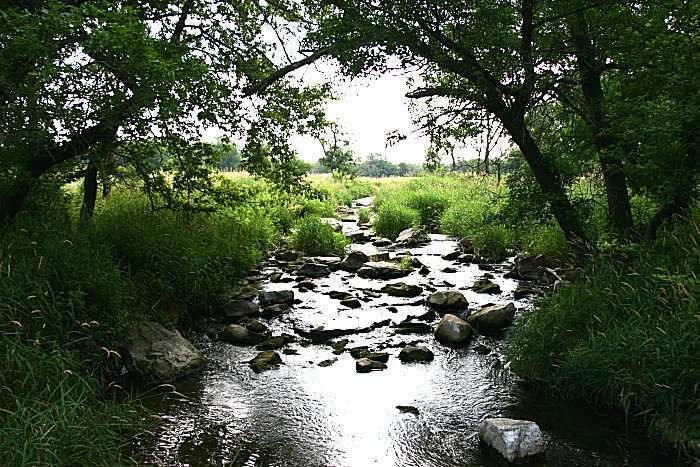 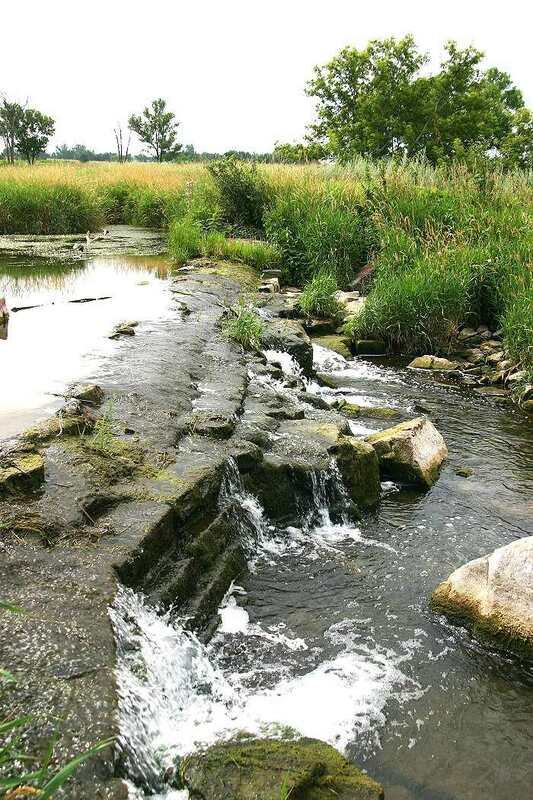 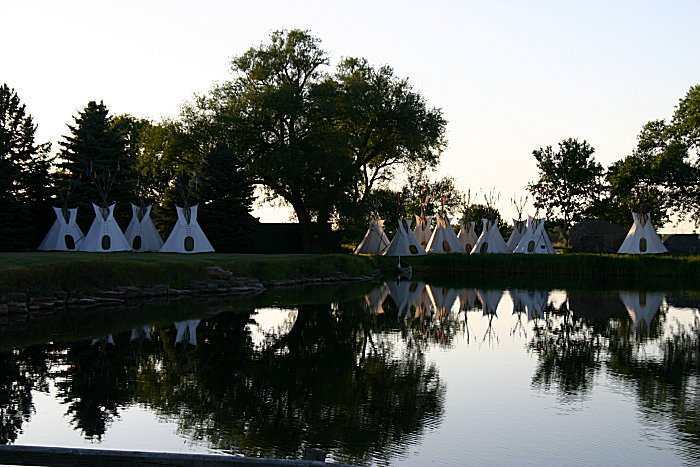 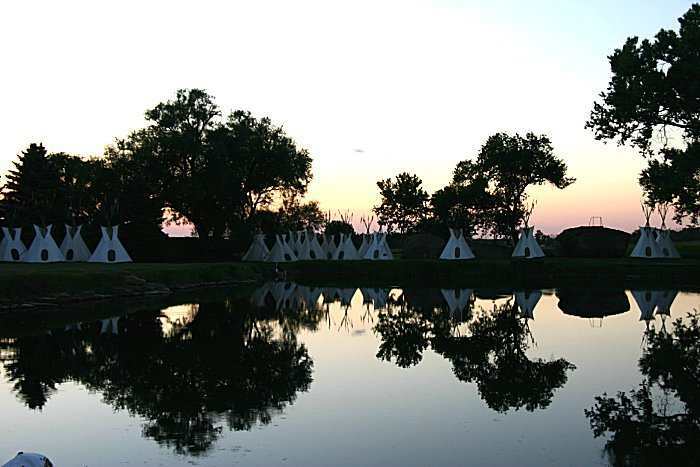 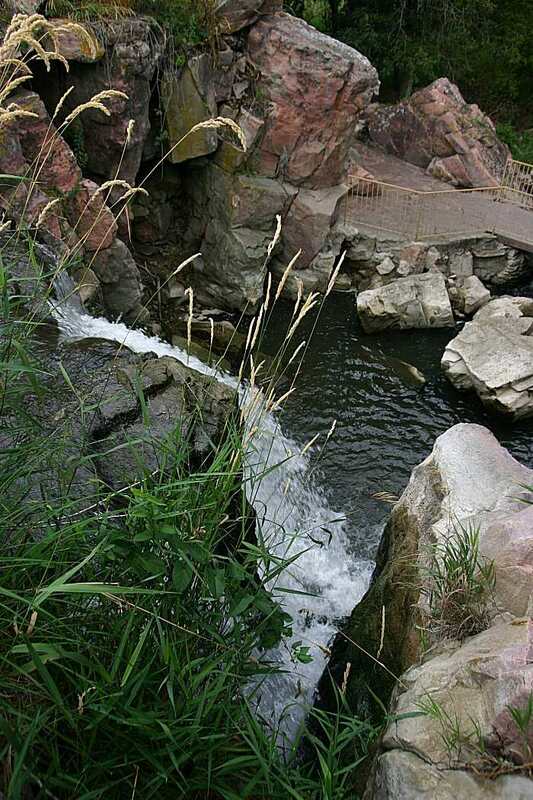 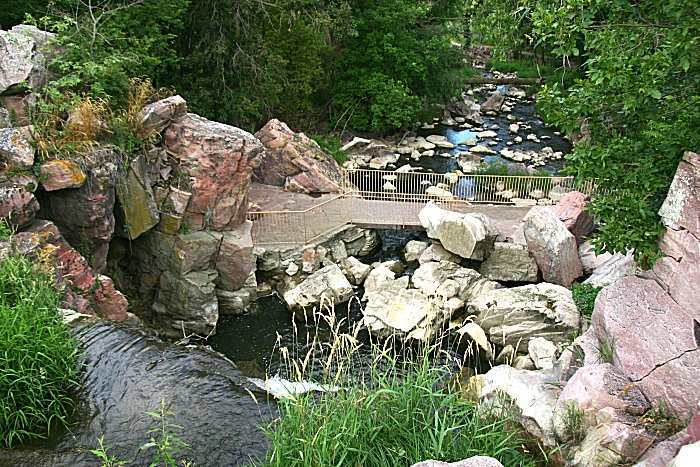 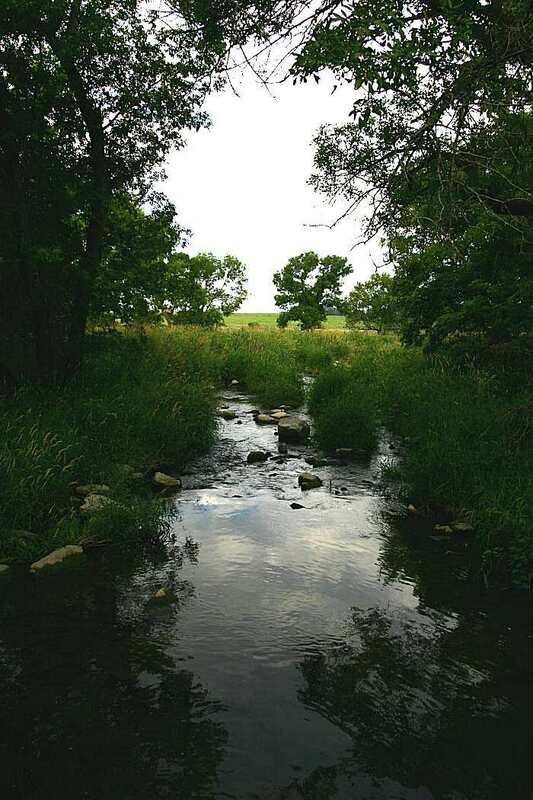 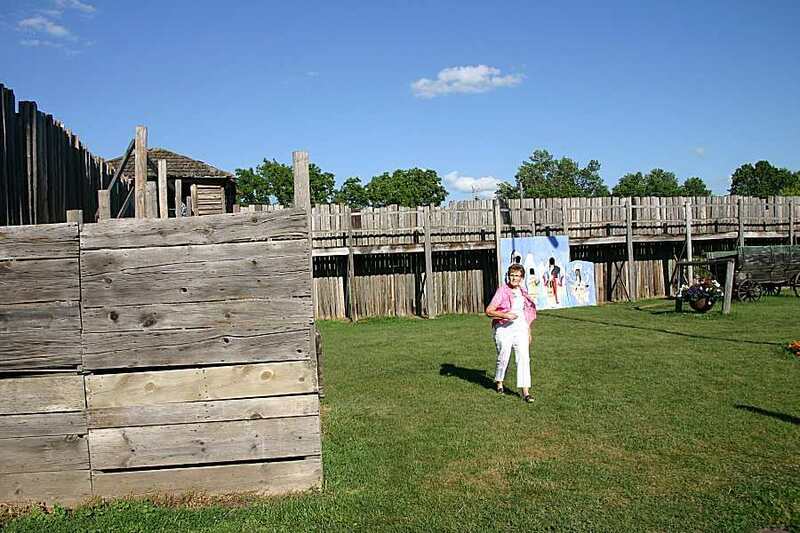 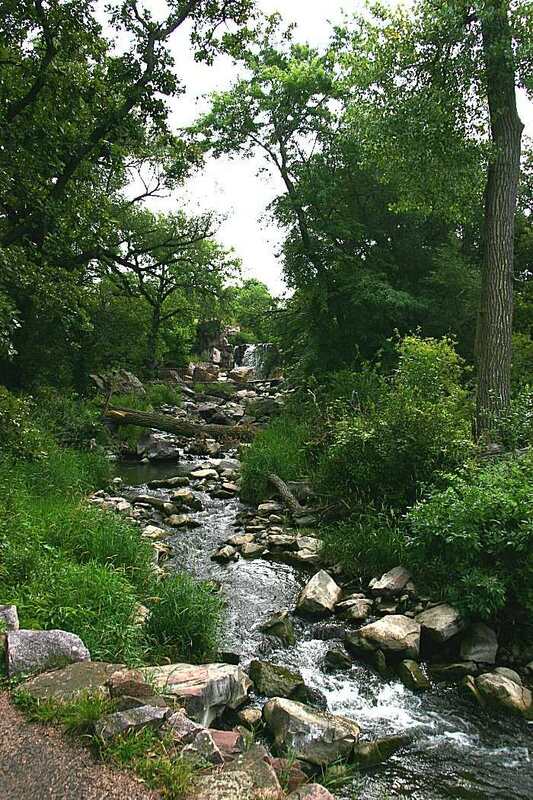 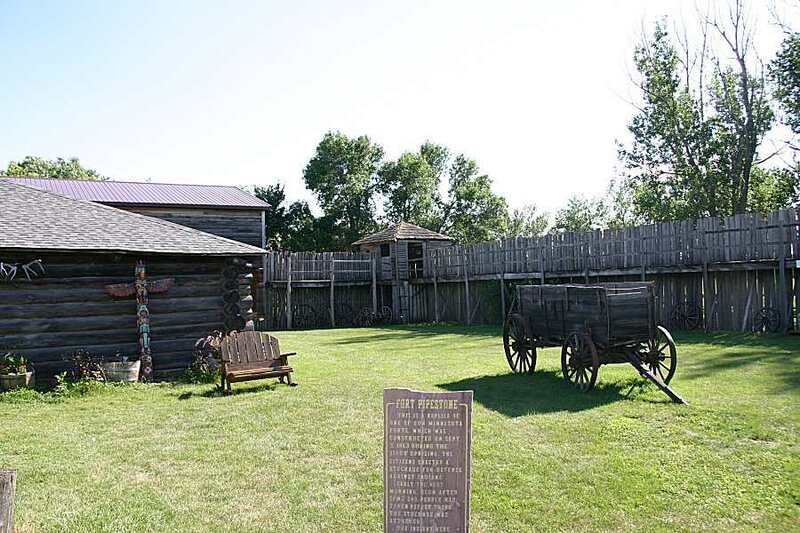 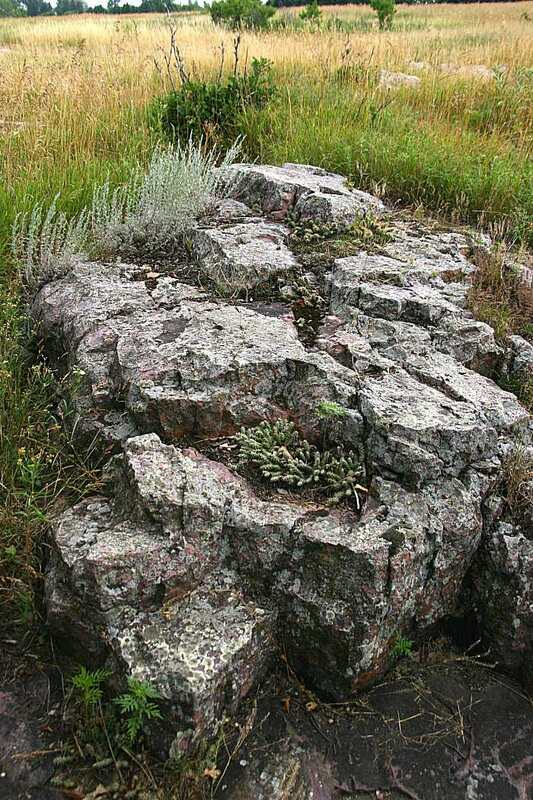 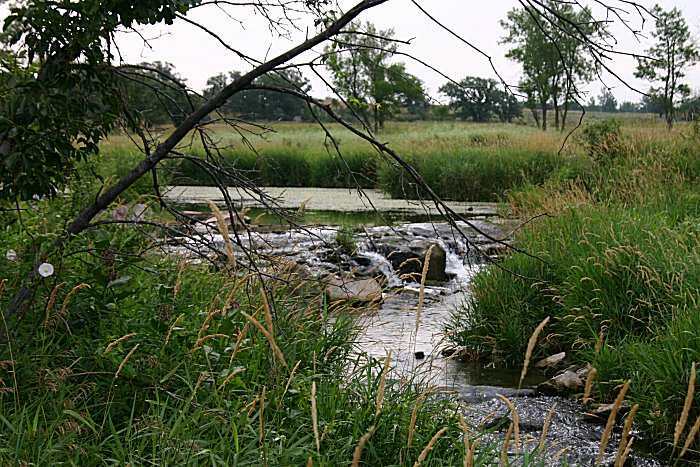 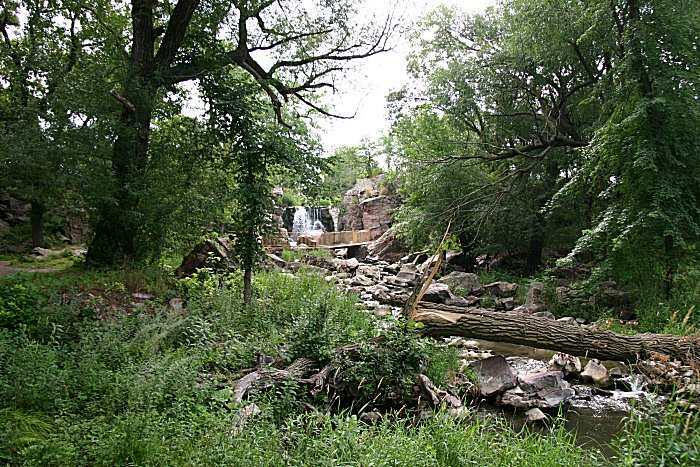 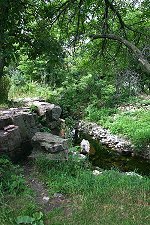 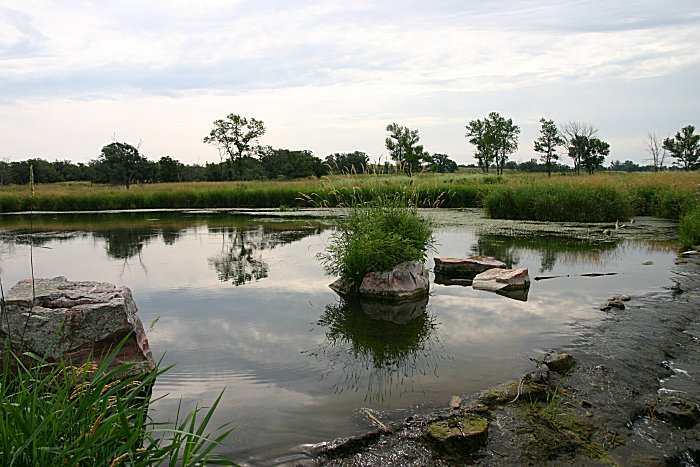 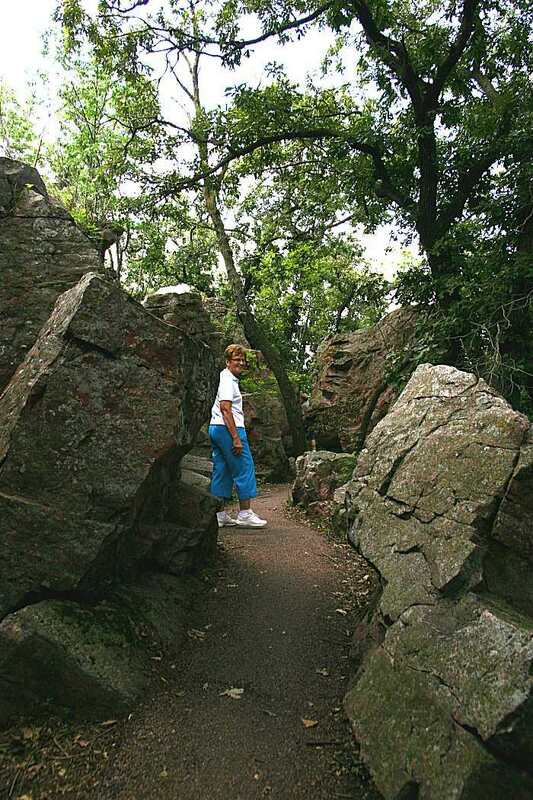 Pipestone National Monument offers an opportunity to explore American Indian culture and the natural resources of the tallgrass prairie. 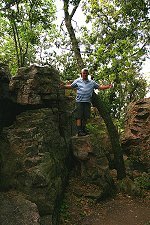 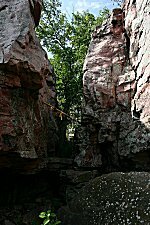 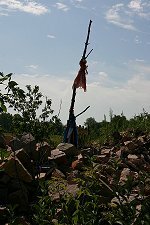 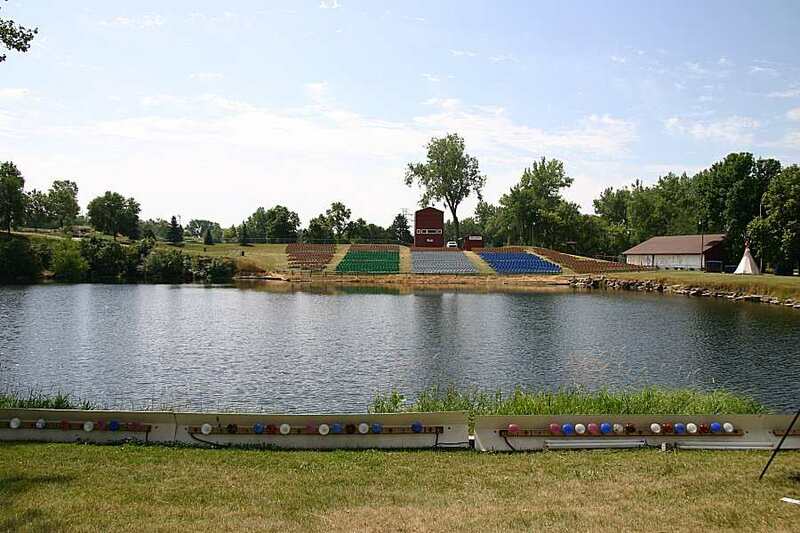 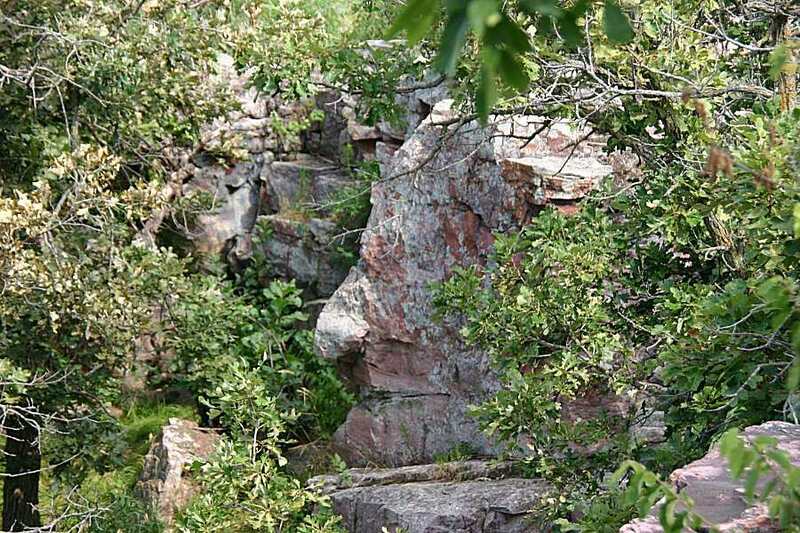 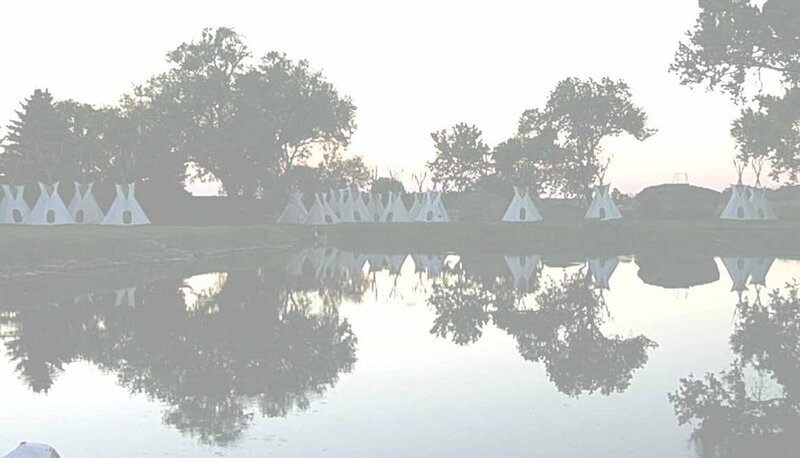 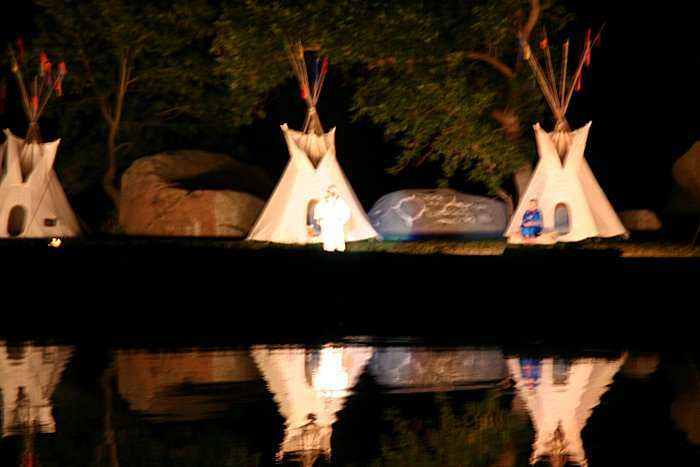 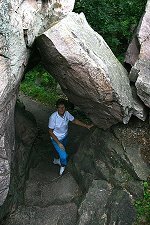 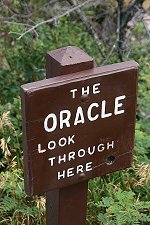 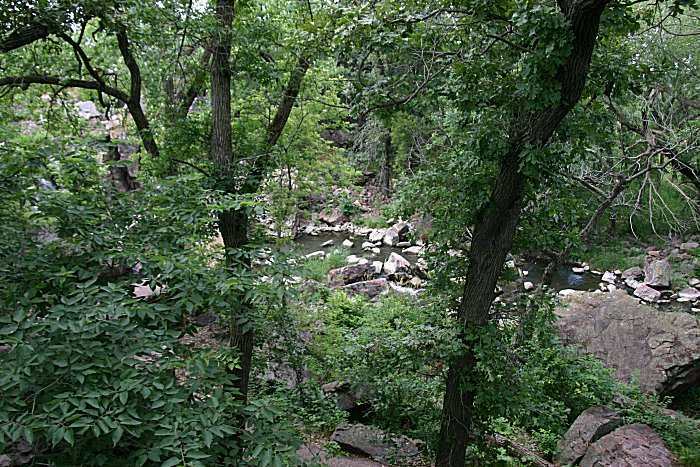 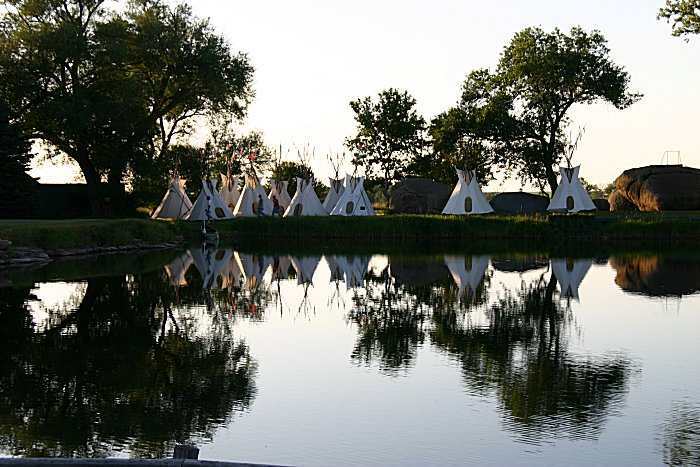 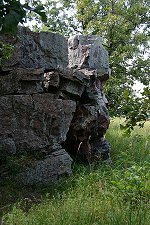 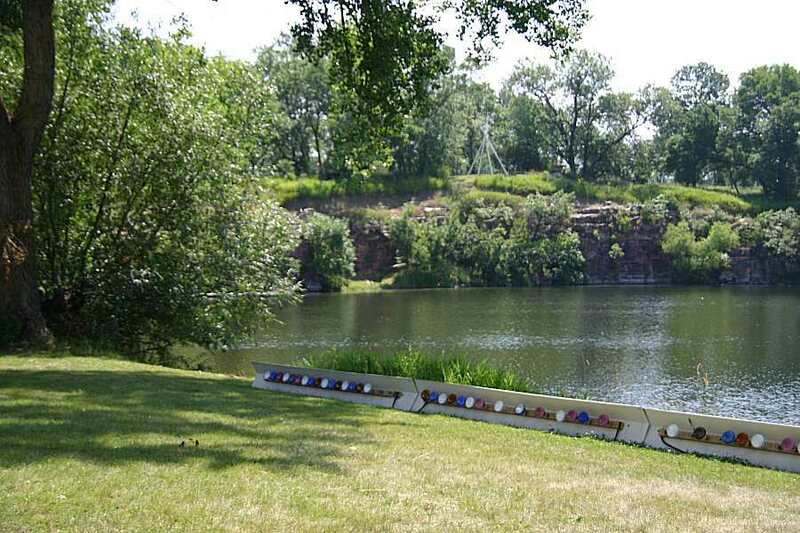 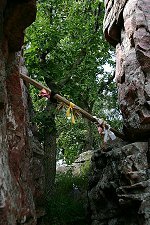 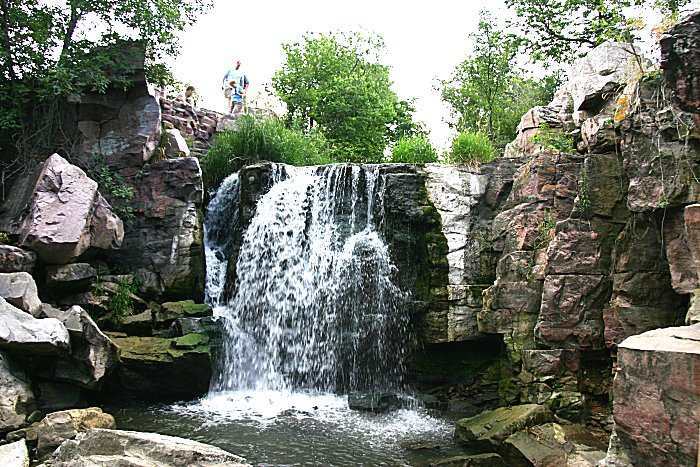 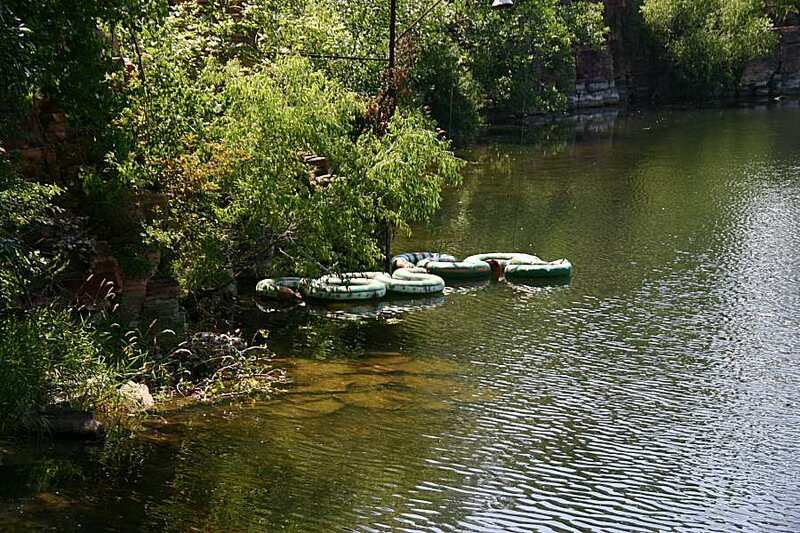 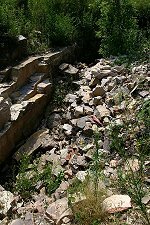 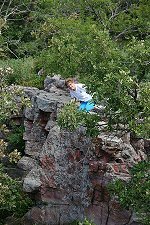 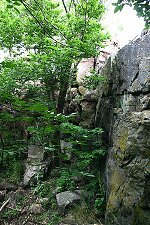 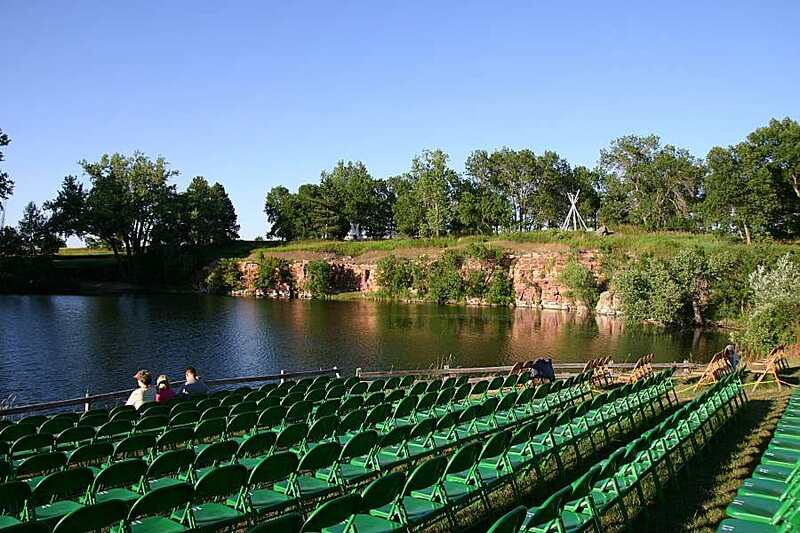 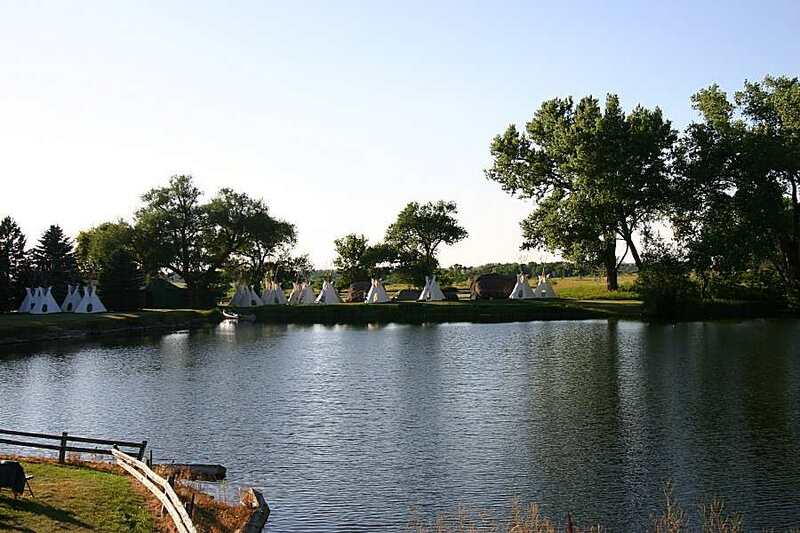 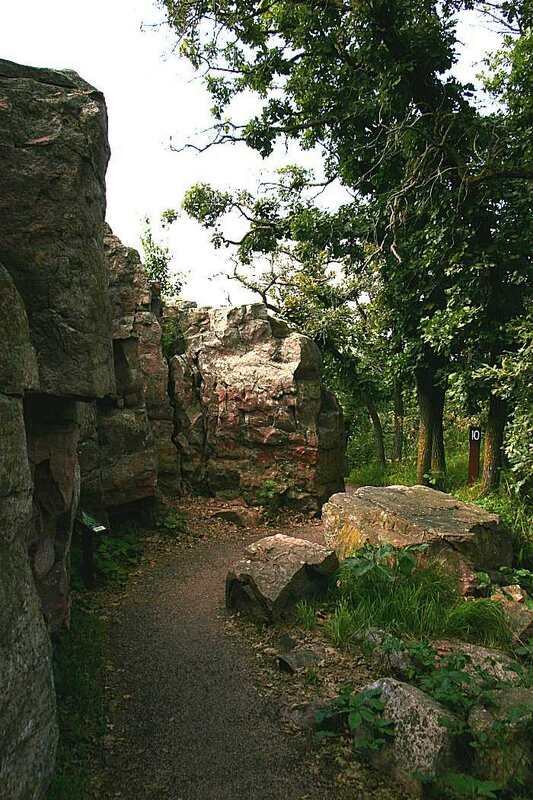 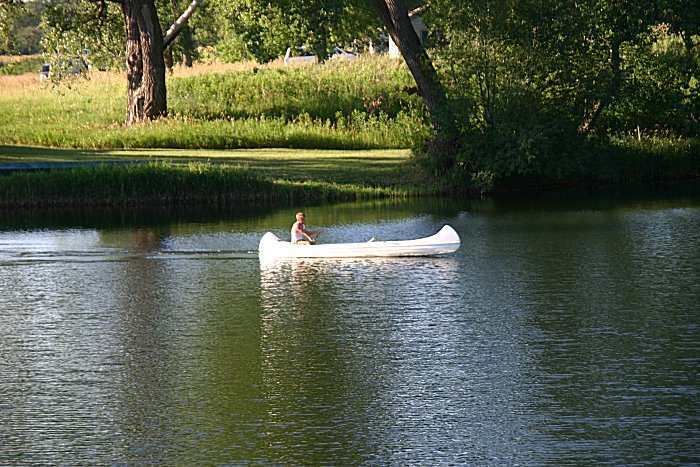 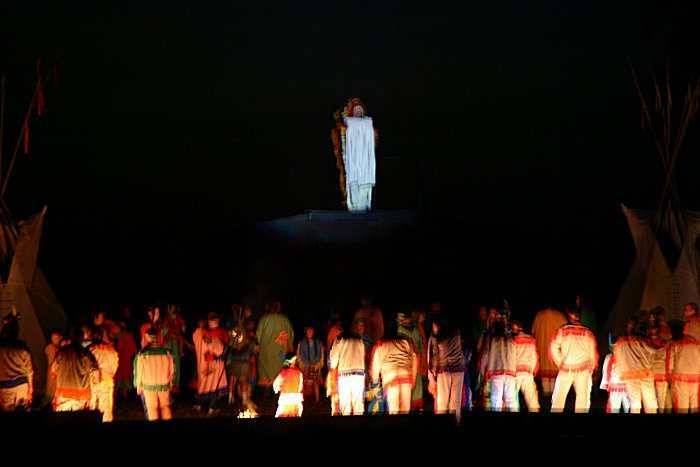 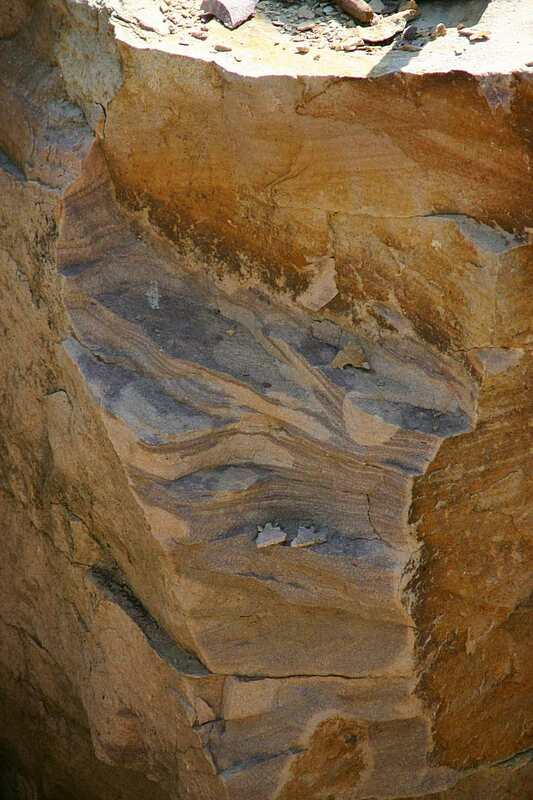 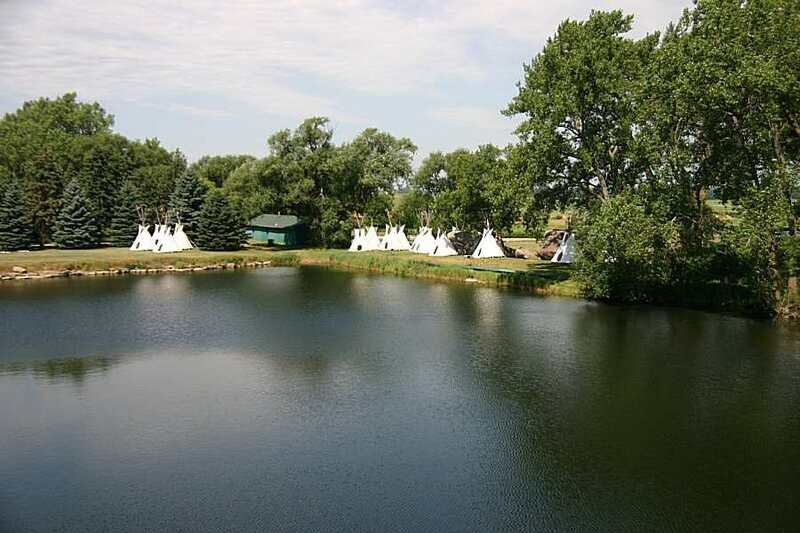 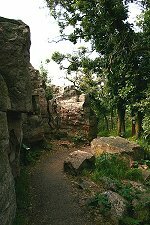 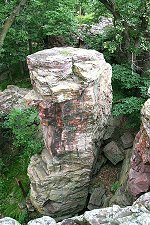 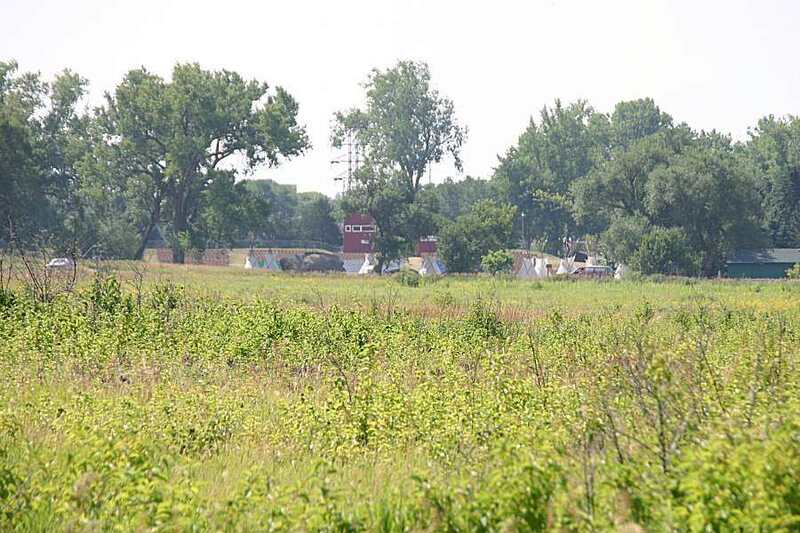 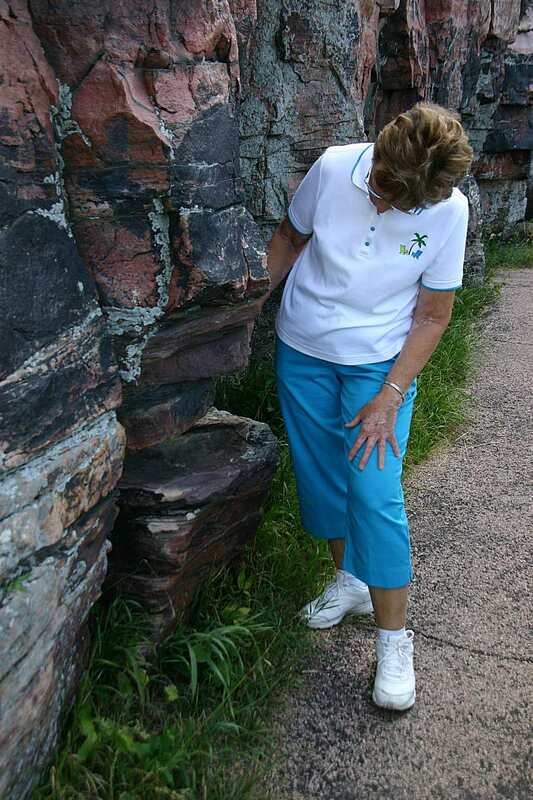 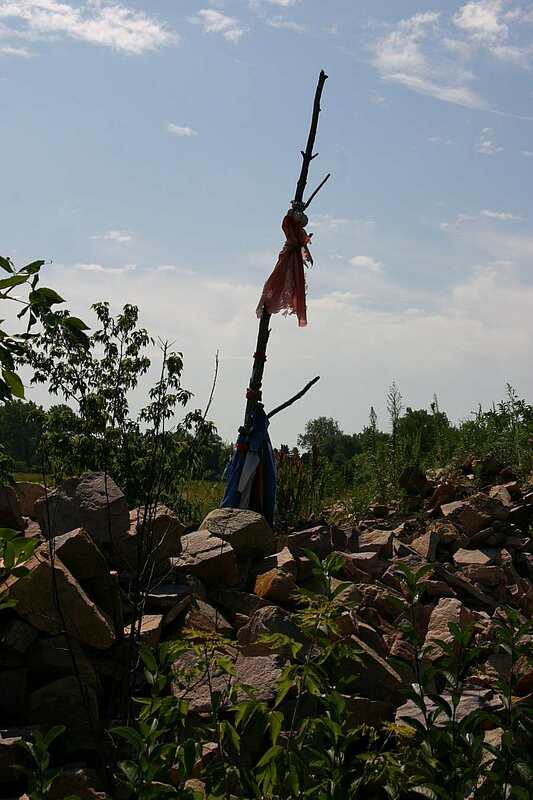 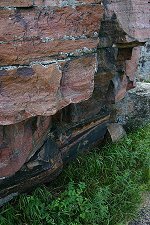 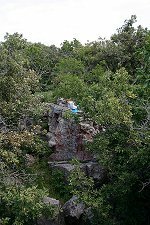 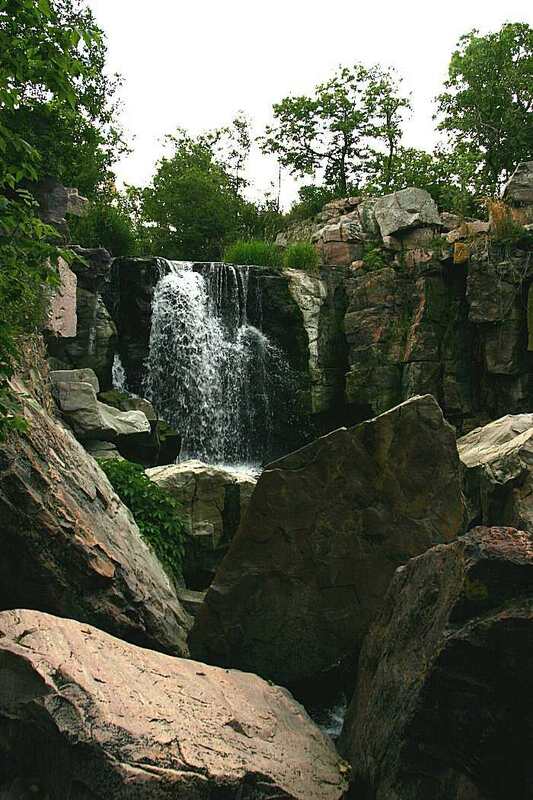 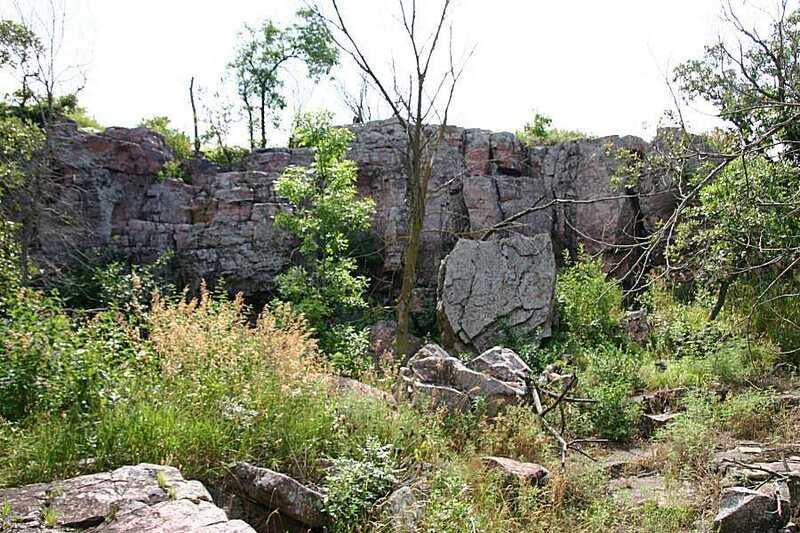 Established by Congress in 1937 to protect the historic pipestone quarries, the site is considered sacred by many American Indians. 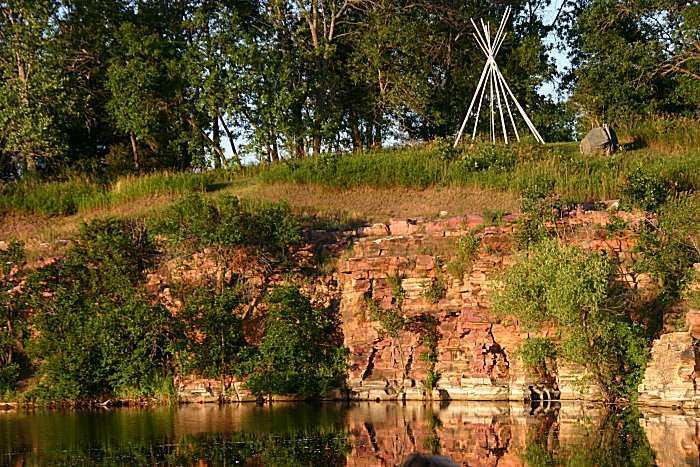 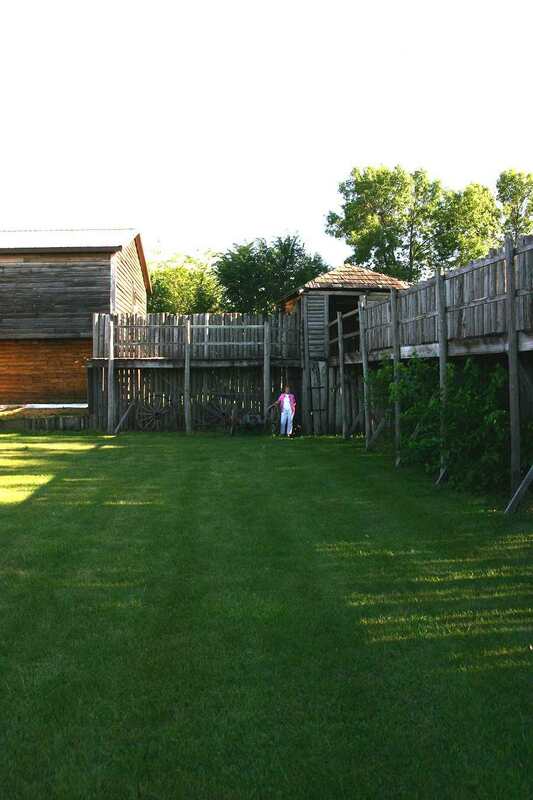 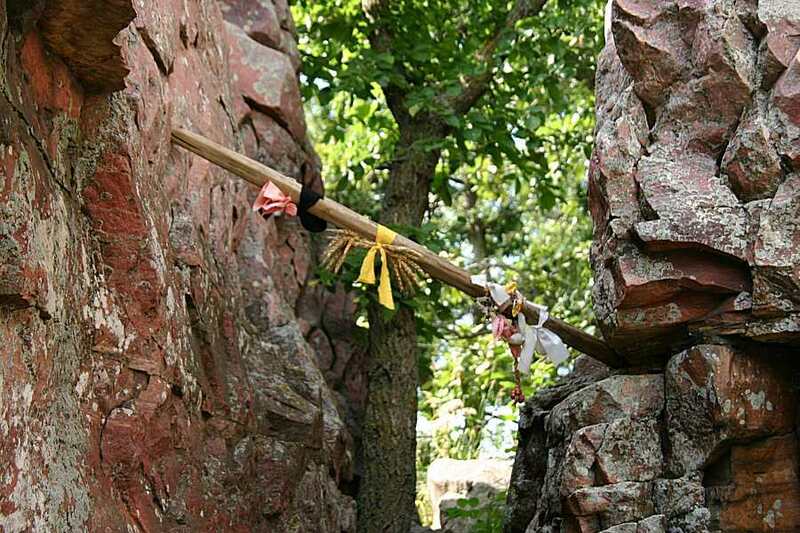 Spanning centuries of use, American Indians continue to quarry pipestone, which they carve into sacred pipes. 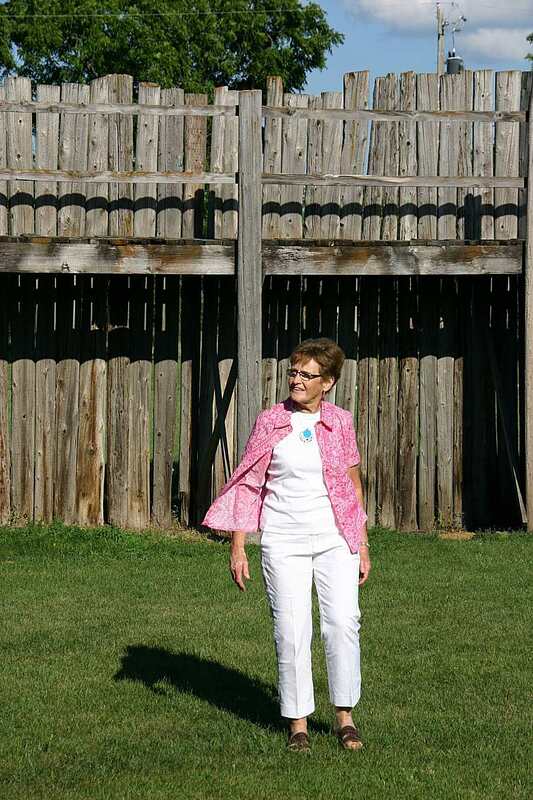 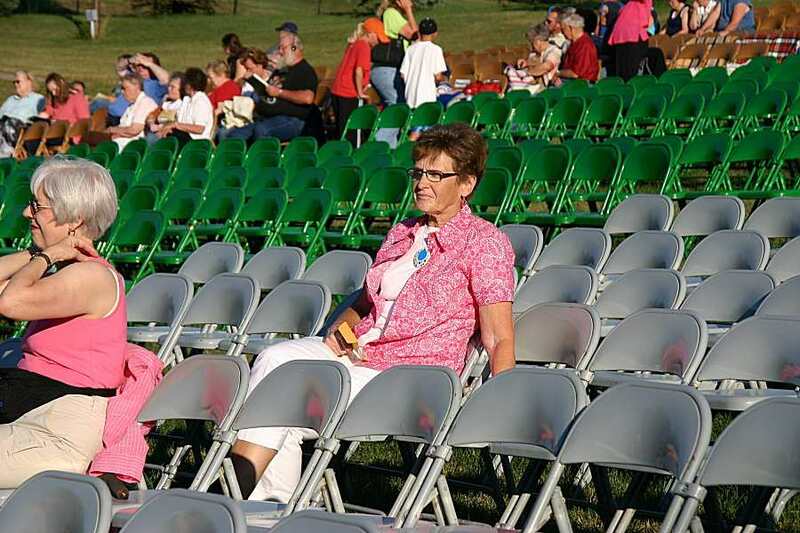 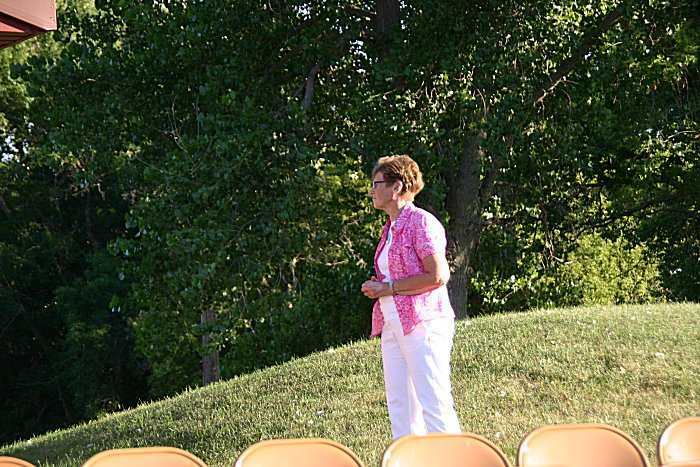 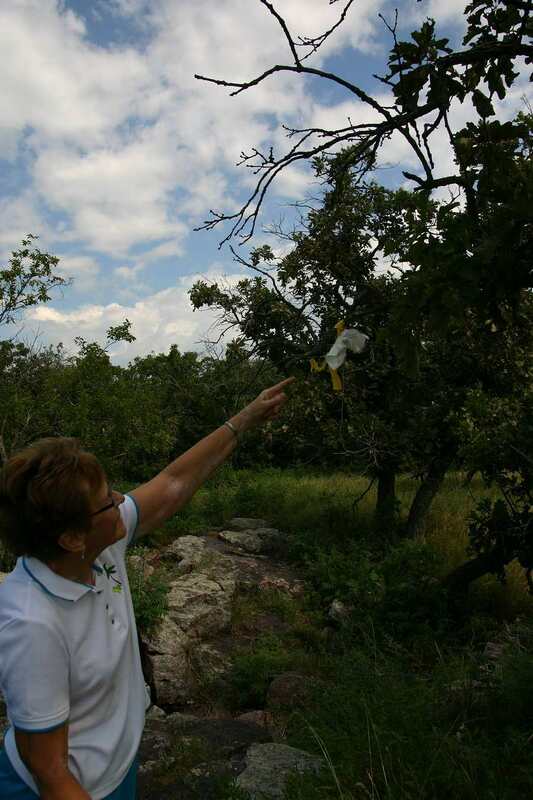 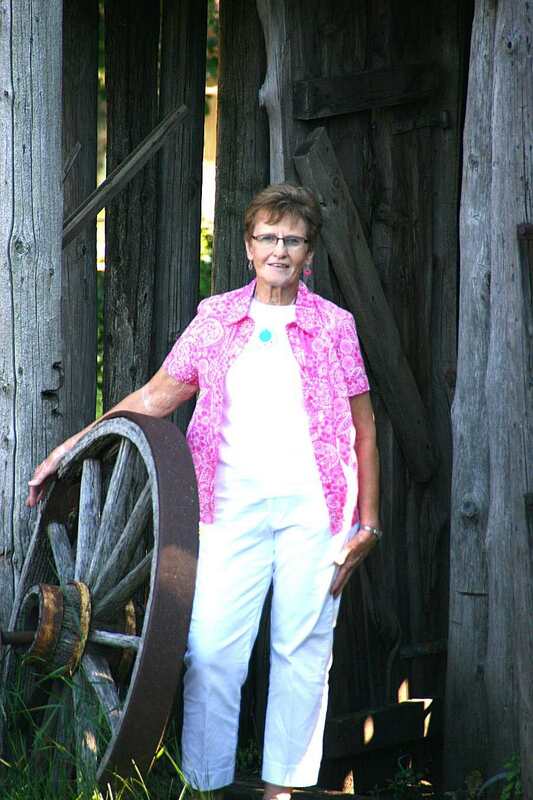 You can see what Judy saw. 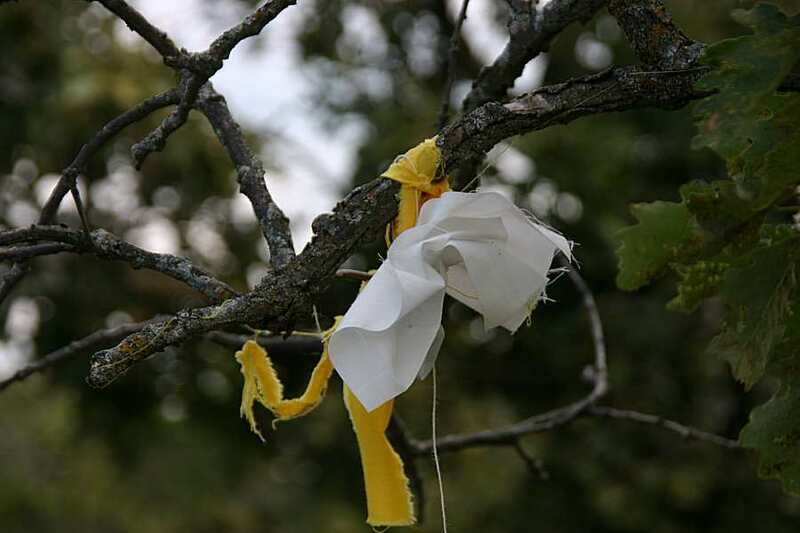 The ribbon bags are filled Tobacco and are left for the Indian spirits. 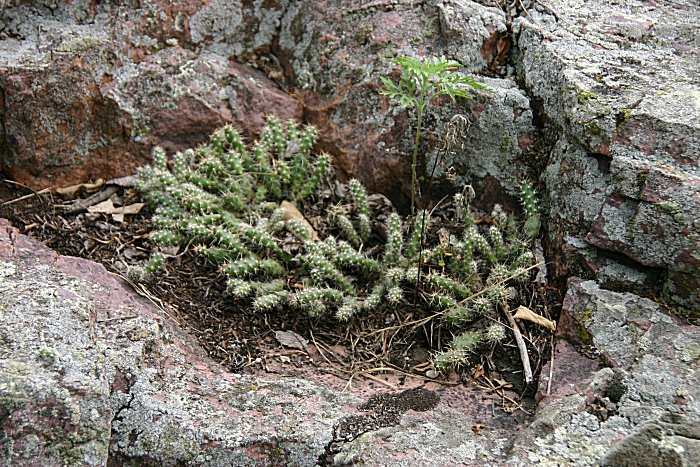 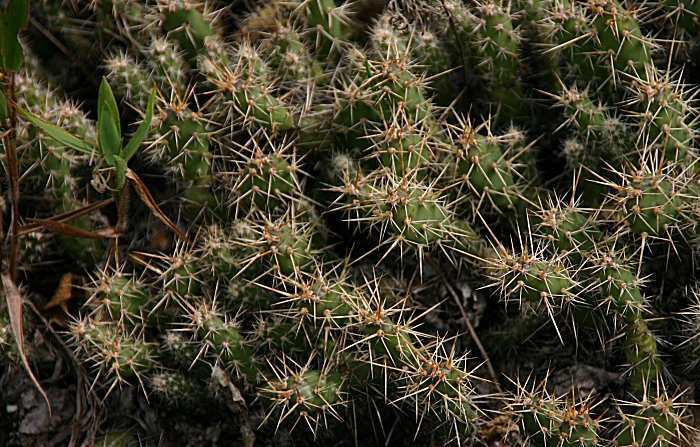 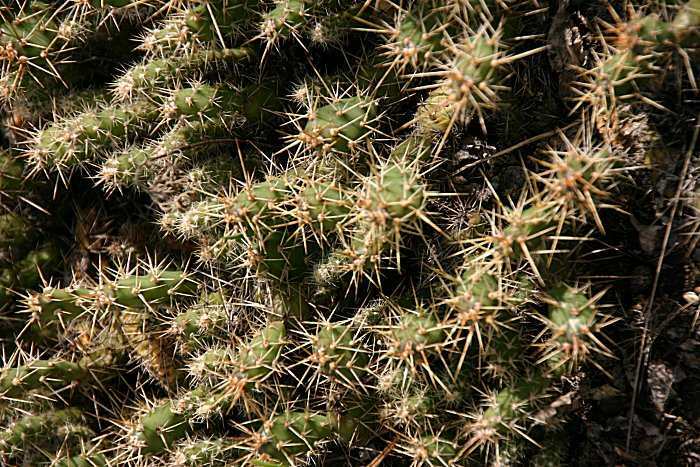 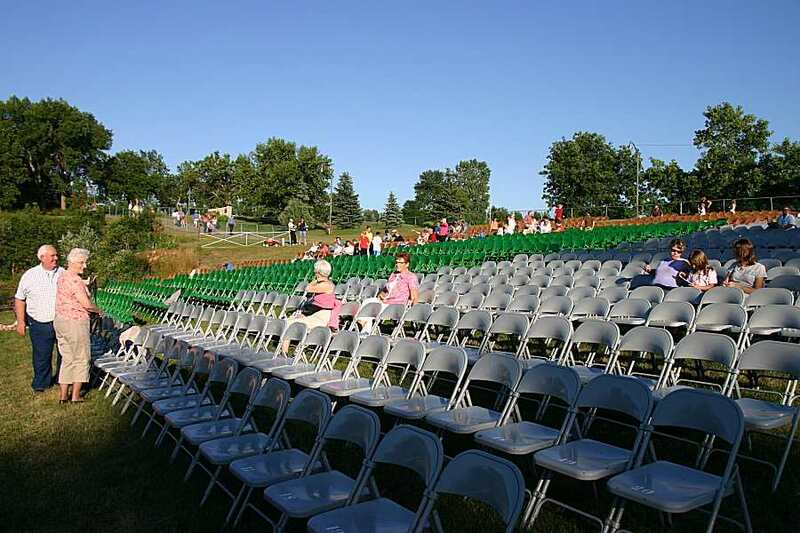 I never know that Cactus grew in Minnesota. 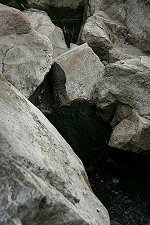 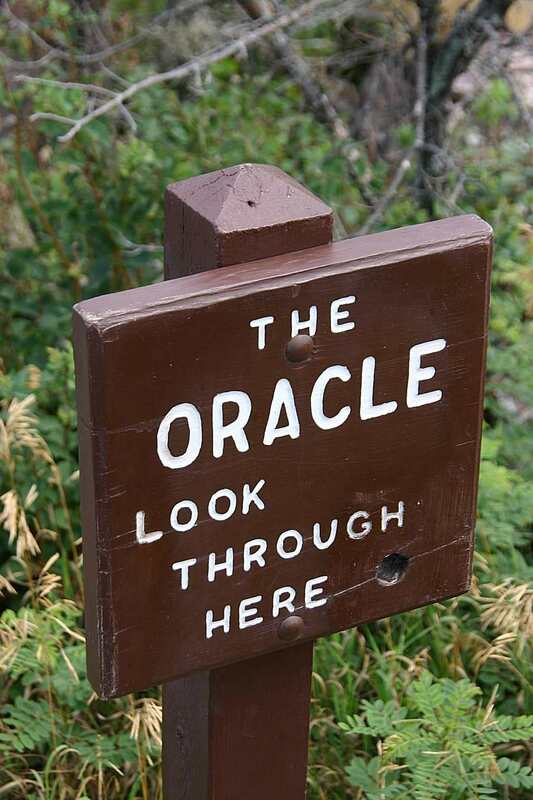 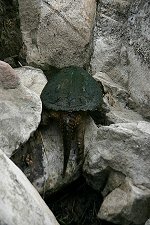 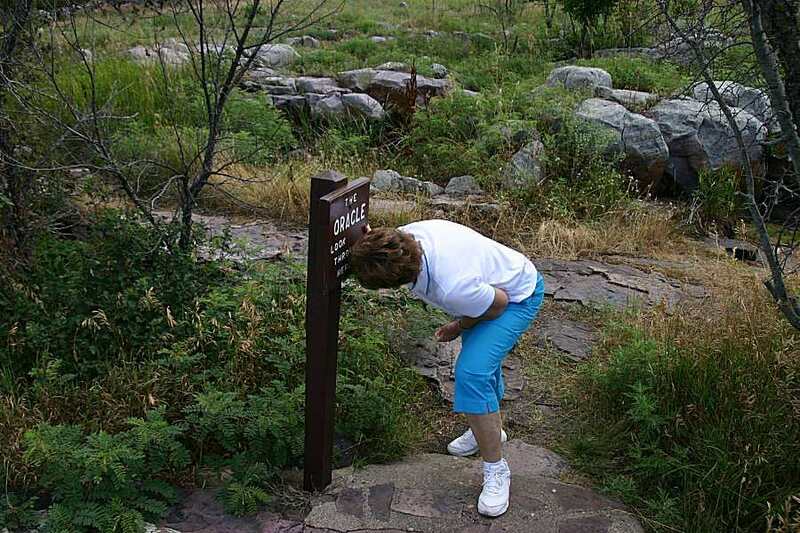 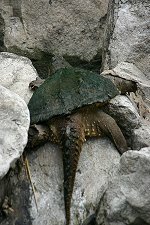 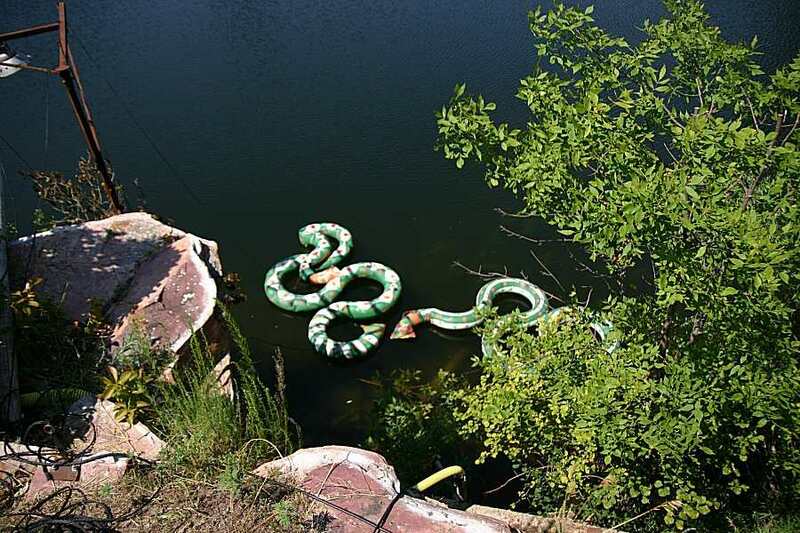 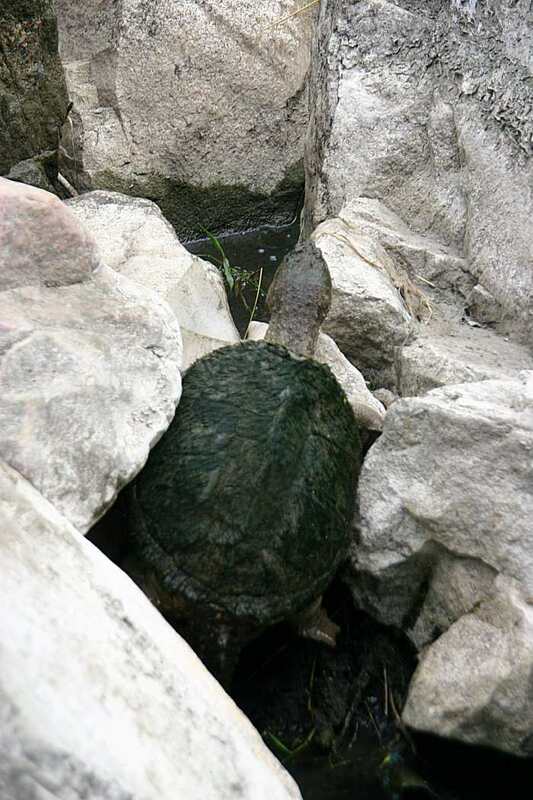 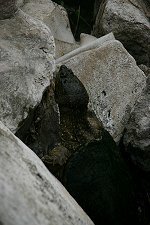 it was going up to the waterfall pool. 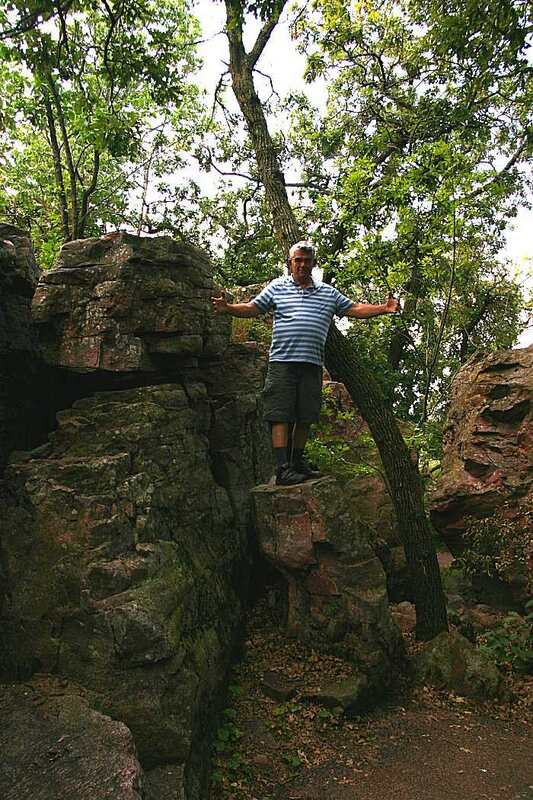 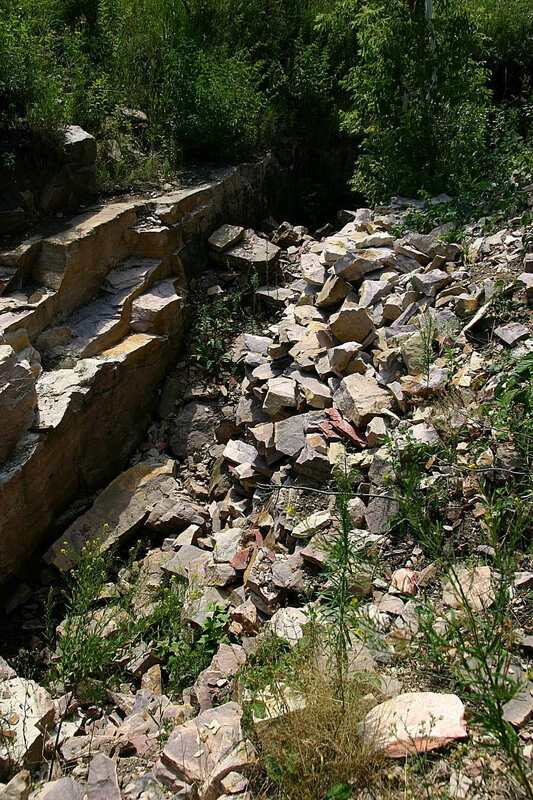 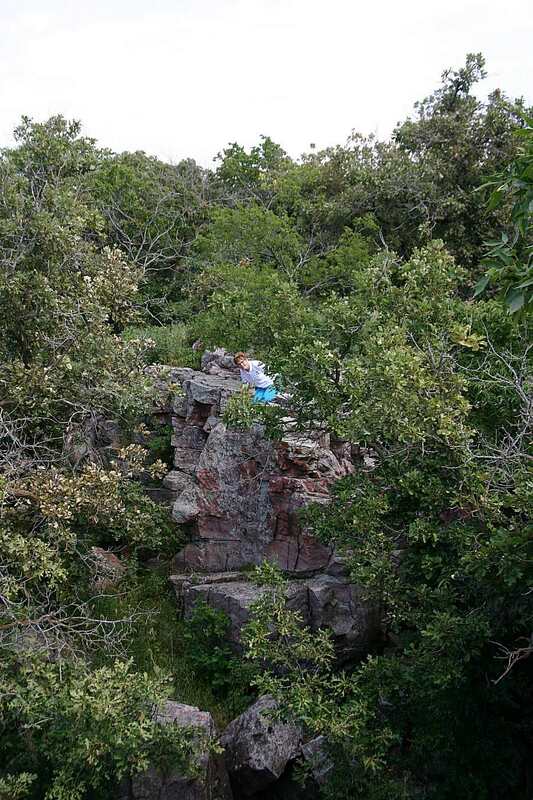 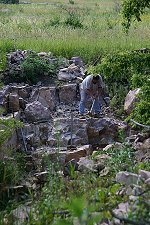 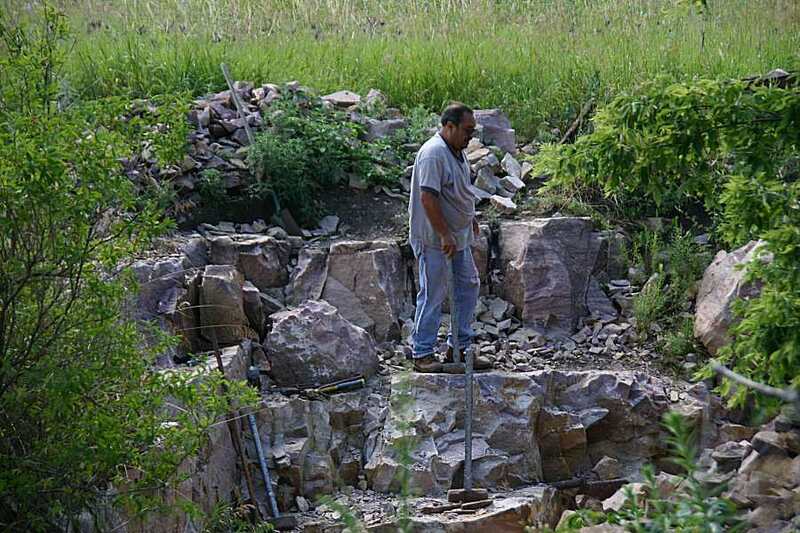 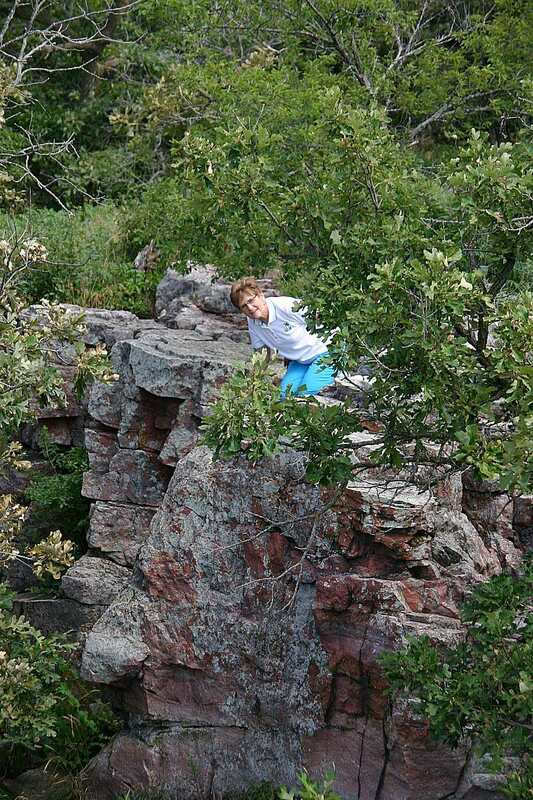 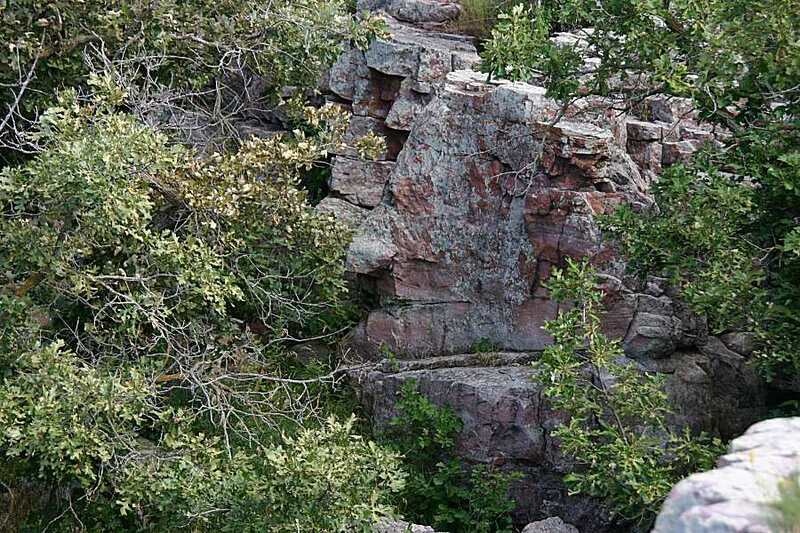 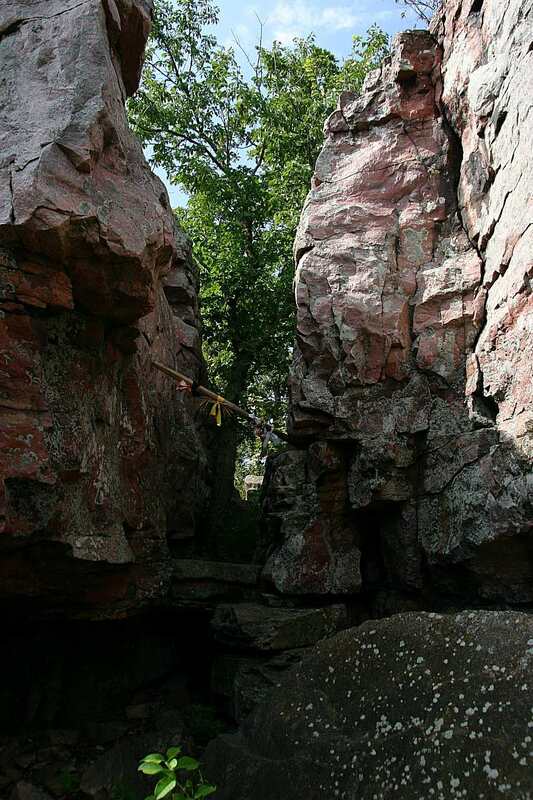 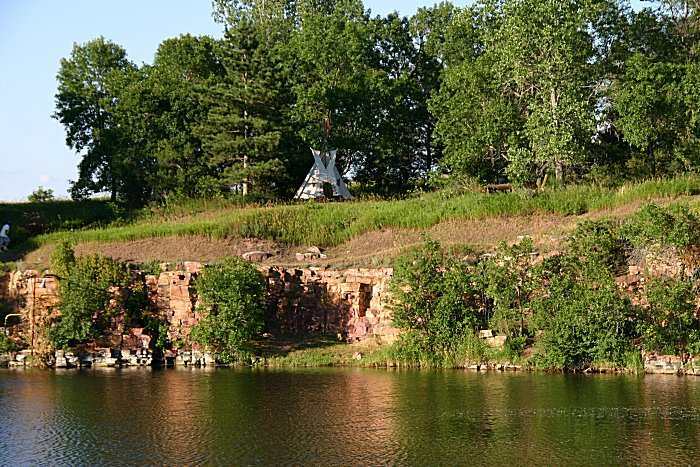 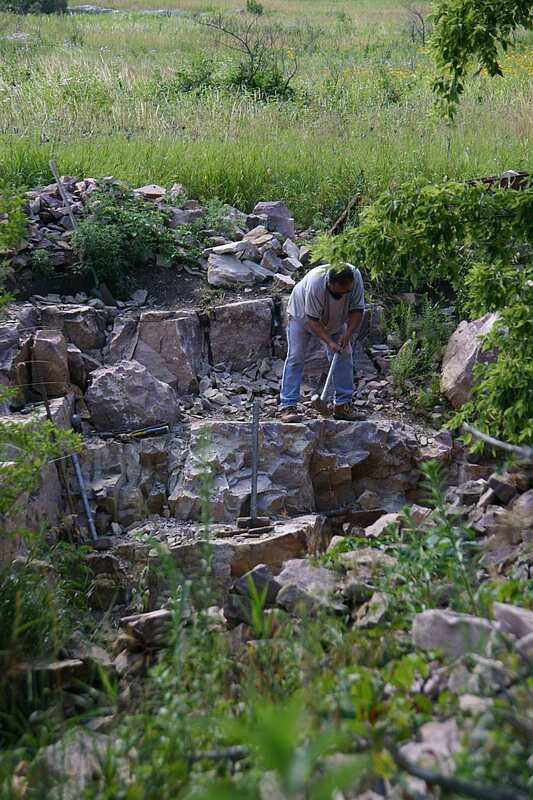 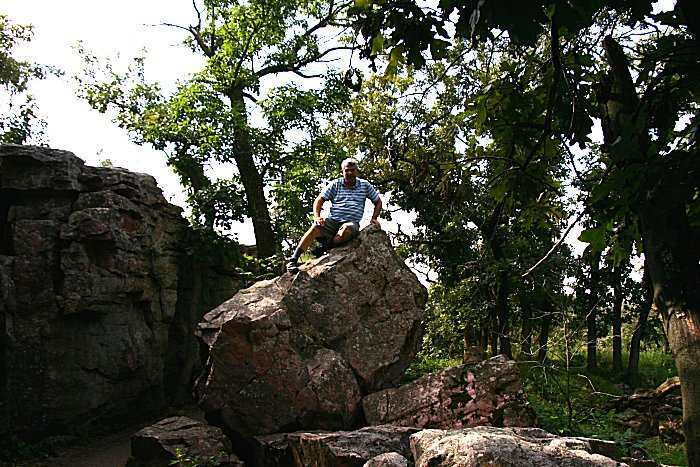 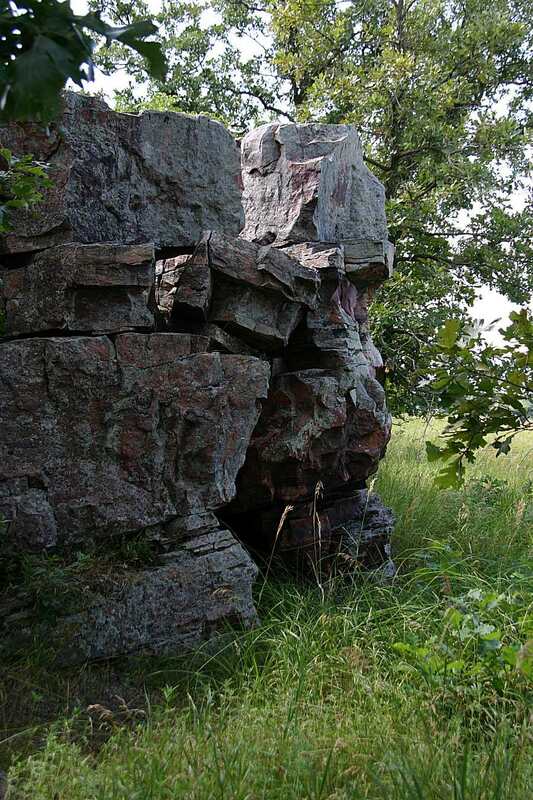 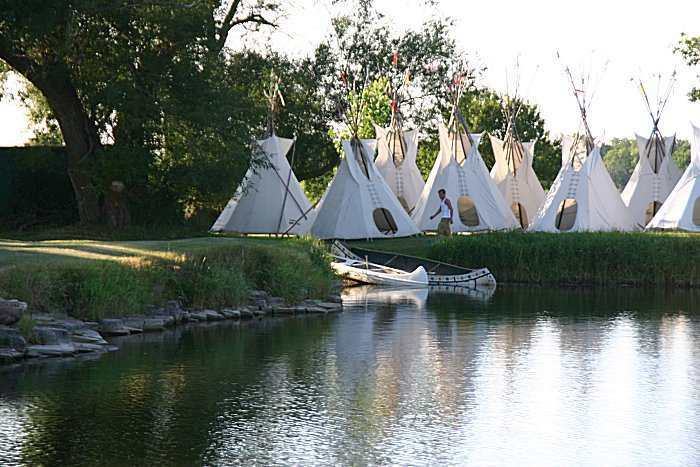 This historic pipestone quarries and that is an American Indians doing his thing.